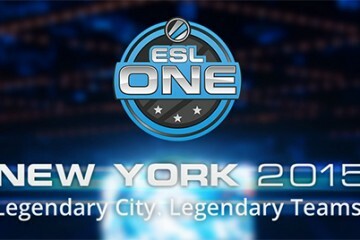 This past Sunday was the ESL CS:GO Grand Finals and it was held in the Barclay’s Center in Brooklyn, NY. Mousesports came in as the underdog as they faced top North American squad Team Liquid in the finals. The matchups we absolute nailbiters. They went all the way to game five which came down to the wire. Mousesports were consistent in keeping Liquid on their toes which, win or lose, most of the matches were a margin of only 6 rounds or less. On map one, Liquid has taken an early lead that kept mousesports at arm’s length and sorely in need of cash to buy decent weapons but SunNy and chrisJ kept the team in check and Liquid eventually found themselves at an 11-11 time at one point. It wasn’t until the tie up at 12 that mouse sports took the lead to win the first map. Ropz and Snax really had some lucky shots through smokes during the finals matches that helped them win it. Liquid must have thought it a fluke because map two was a very different story. Nuke was all but a steamrolling for Liquid who won at 16-7. They truly came back with a fury. They came out of the gate early with four wins but mousesports hadn’t given up hope just yet. They kept pace with them until about round 10 when Liquid took a commanding lead by the switchover, 10-4. In round 15, Nitr0 got a triple kill with his AWP that shook the stadium for the moment (one greater was to come). Round 20 was the game point for Liquid but mousesports wasn’t going to give up. Liquid could have easily shut them down but mousesports were able to claim 3 more round before TACO and Twistzz had enough and shut them down hard. Inferno is a pretty large map and Liquid had been feeling confident from the match before so they were ready to keep the hurt coming. They easily won their first five matches and mostly by bomb plantings and keeping their ground. However, by round 15 mousesports had shown some real fighting spirit to catch up to them and only be 3 points behind. Twistzz and EliGE were putting in real work this map. 23 and 24 kills respectively by the end. While Liquid ultimately won this map, they had a very hard time securing it. Round 23 they were at game point but again mousesports came back with a three-game streak that started to make Liquid sweat. By 26 EliGE had a lucky kill through the stained glass window and Twistzz had a triple kill through the smoke that ultimately gave them the win they needed. Down 2-1 in the series, mousesports needed this map to secure a game five of ESL One. They absolutely delivered that. Well, it didn’t look good for them at first. By the round 15 switch over the score was 11-3 in Liquid’s favor. This was a shutdown. the announcers, the fans, and maybe even Liquid though they had this in the bag at this point. However in round 16 mouse sports got a pivotal win after trapping TACO in the pit that must have boosted their confidence because they came back with an absolute fury! 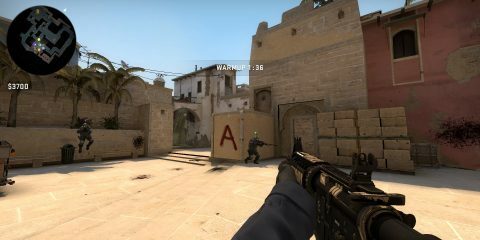 With a score of 13-4, somehow, out of nowhere a fire was lit under mousesports. They went on a mad tear. Kill after kill taking Liquid for a ride off their pride parade floats. They tied the score at 14. Then again at 15 to bring it into overtime! A very tense overtime on Dust2 that mousesports won at 19-17, which gave everyone what they wanted – a game five on Mirage. It was back and forth on the ESL One map, with both teams clearly playing at the very top of their game – showing serious improvement from the London Major mousesports. Liquid was just too hurt from that map four comebacks to really be able to get back on their horses for a win. However, it was chrisJ’s absolutely ridiculous AWP skills that really helped out mousesports in these rounds. In fact, it was chrisJ that made the play of the game in round 14 to put mousesports at map point which will be remembered, forever. A full team kill which had the whole crowd (despite who they were cheering for) on their feet and screaming praise. All the matchups were absolute thrill rides that kept the crown breathless and quiet at some points. However, mousesports beat the odds and became 2018’s ESL One’s grand champions. Congrats to them for working their butts off and never losing faith in their abilities. ESL One has been running the replays live so catch them now!